Fig.2- 12Vdc to 220Vac converter PCB component (top) side. Fig.3- 12Vdc to 220Vac converter PCB bottom side. 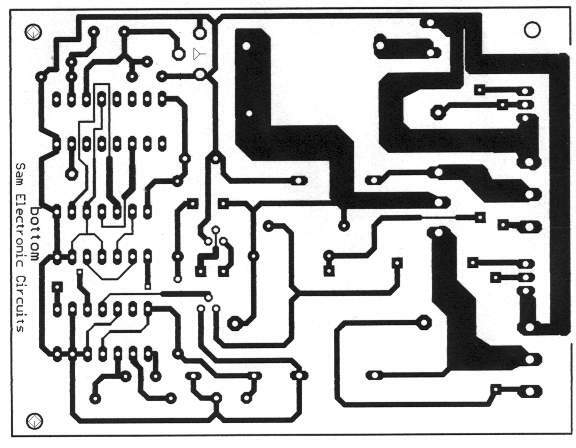 In the Fig.2, exist the printed circuit with the layout of material [ top side ] and in the Fig.3 exist PCB from the bottom side (brass side).